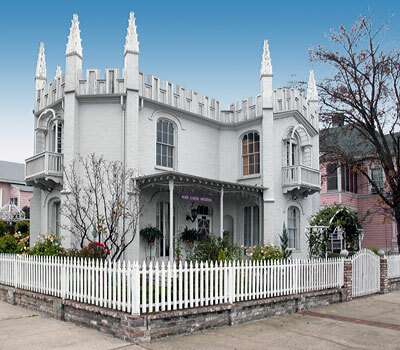 This Gothic revival residence was designed and built by Warren P. Miller. Francis and Mary Aaron purchased the house in 1874, and the family lived here for eighty years until the death of the only son, Charles, in 1955. Charles Aaron willed the house to the city of Marysville with the stipulation that it be operated as a museum in honor of his mother Mary Bobo Aaron.